One of the more common questions I hear from patients considering breast augmentation at my practice is whether or not their breast implants will be harmed – or affected in any way – by future pregnancies. To answer this inquiry, it’s important to first point out that every woman’s body reacts differently to pregnancy and breastfeeding, so certain individuals may experience entirely different changes than others. That said, most women will notice swelling and enlargement of the breasts during pregnancy, often followed by minor to significant volume loss after the cessation of breastfeeding. Despite these changes that may accompany pregnancy and breastfeeding, the good news is that the structure and integrity of your breast implants should not be jeopardized, regardless of the type of implants you received. However, this does not mean the breasts will necessarily go back to their exact pre-pregnancy look and feel – depending on the particular bodily changes that occur, there may be some drooping and/or excess skin present. Based on the significance of this breast drooping and skin laxity, a mastopexy and/or larger breast implants may need to be considered to restore the pre-pregnancy size, shape, and projection of the breasts. Ultimately, predicting the degree to which the shape and size of the breasts will change during and after pregnancy is nearly impossible, but these effects should have no impact on the stability and form of your breast implants themselves. 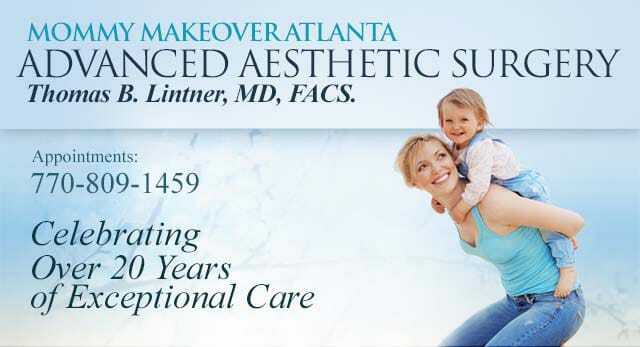 To learn more, or if you would like to schedule a consultation with Dr. Lintner, please contact our office today.